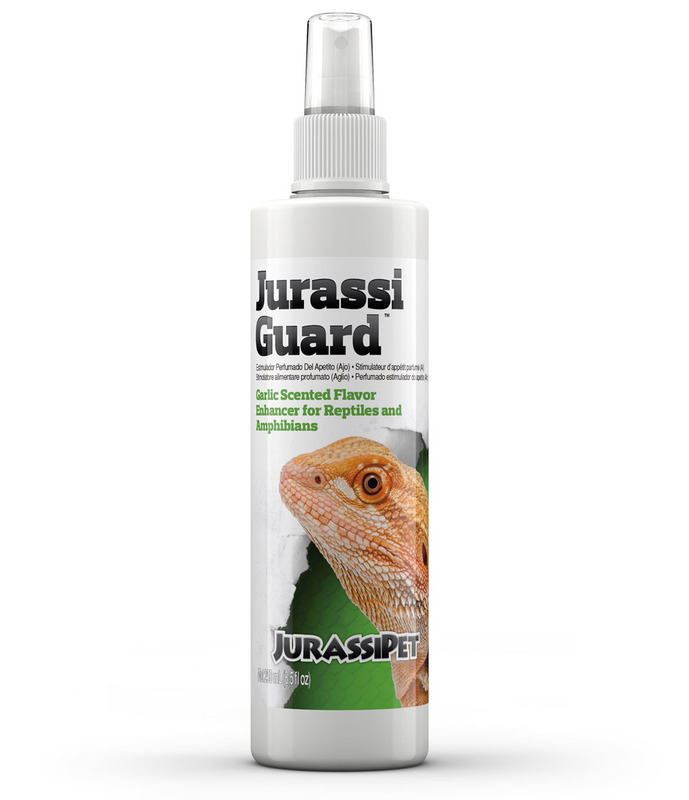 JurassiGuard™ is an all natural garlic scented odor and flavor enhancer. Our research has shown that many reptiles are attracted to natural odors, such as garlic. 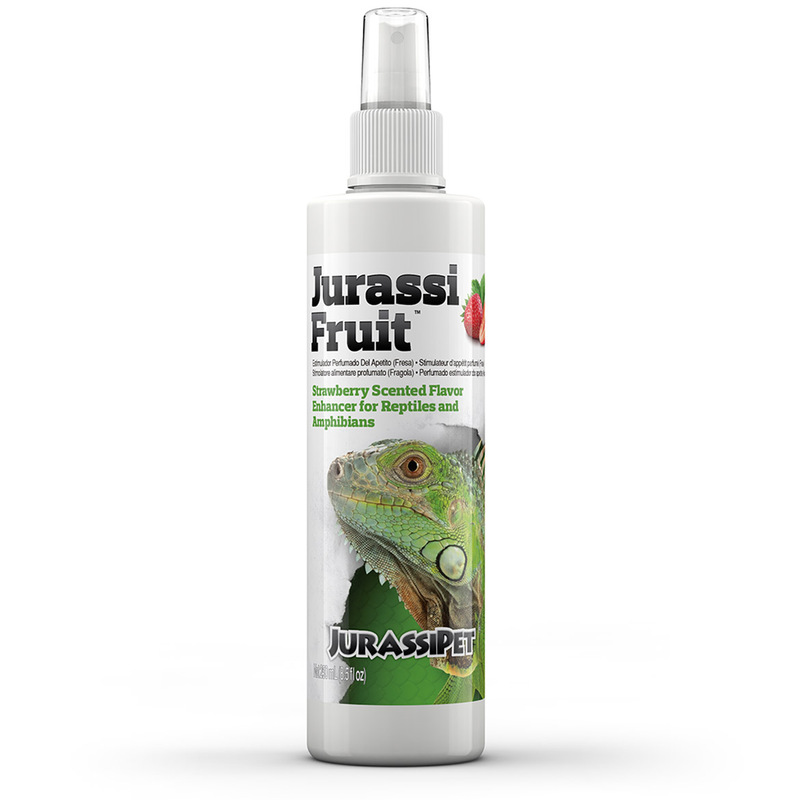 Simply spray JurassiGuard™ onto any food item to attract the interest of finicky eaters. 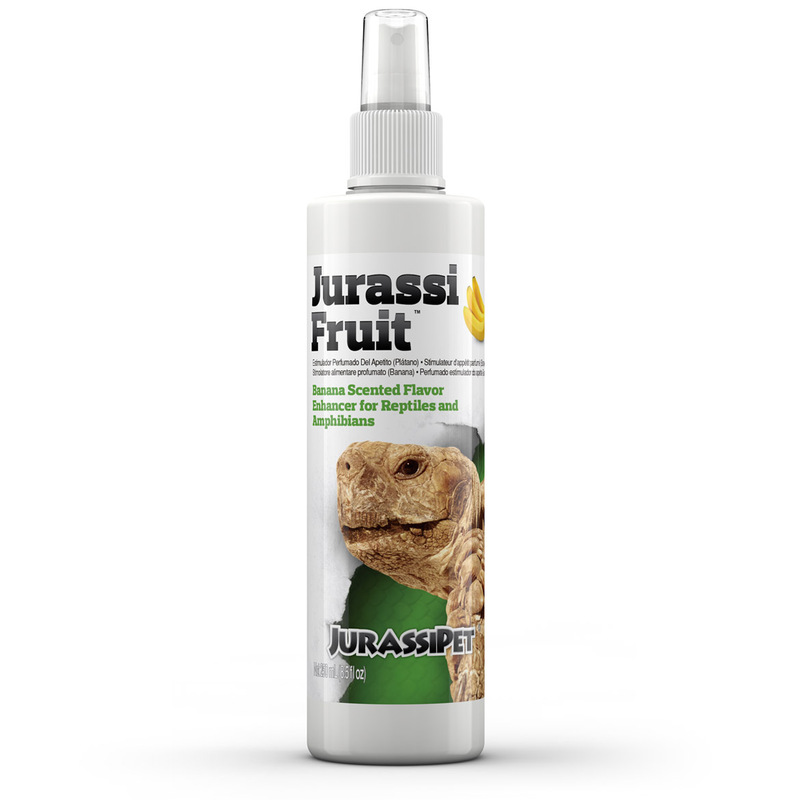 Ideal for carnivorous and omnivorous reptiles and amphibians. 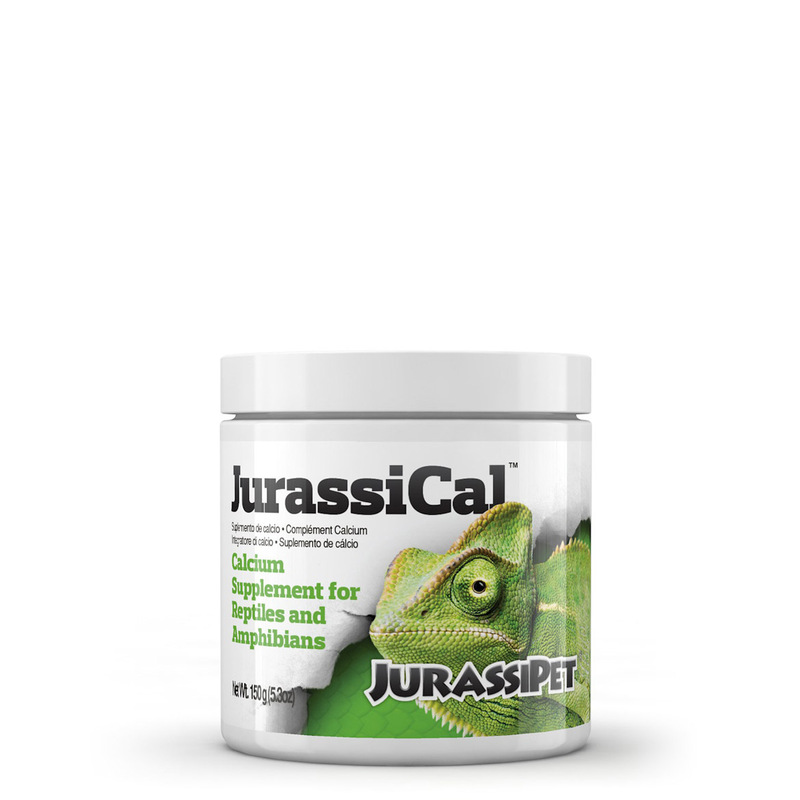 JurassiGuard™ is especially useful in moving reptiles and amphibians over to more comprehensive pelleted diets such as the JurassiDiet™ range of pelleted foods, which contain a broad spectrum of all the important components needed in a reptile diet: protein, fat, carbohydrates, vitamins, and minerals. JurassiDiet™ also contains probiotics, which reduce waste and benefit nutrient uptake as well as the immune system. Lightly coat food before feeding. Shake well before use. There is no danger of overdosing so use as liberally or sparingly as you find best suits your animal.